With De Sciglio out with the flu, and Flamini and Boateng in that black hole we call our midfield, I braced myself for another 6am tearjerker. But upon further inspection, I realized that M’Baye Niang was getting a start, so maybe this would be good after all. And when it came to Niang, good was such the understatement. This boy that Allegri kept calling “a player for the future” was simply amazing. Future, meet Allegri. Allegri, welcome to 2013. Niang was keenly aware of the crossing deficiencies of our dear Abate, so he added that to his personal duties. And wow, did he pull his weight. 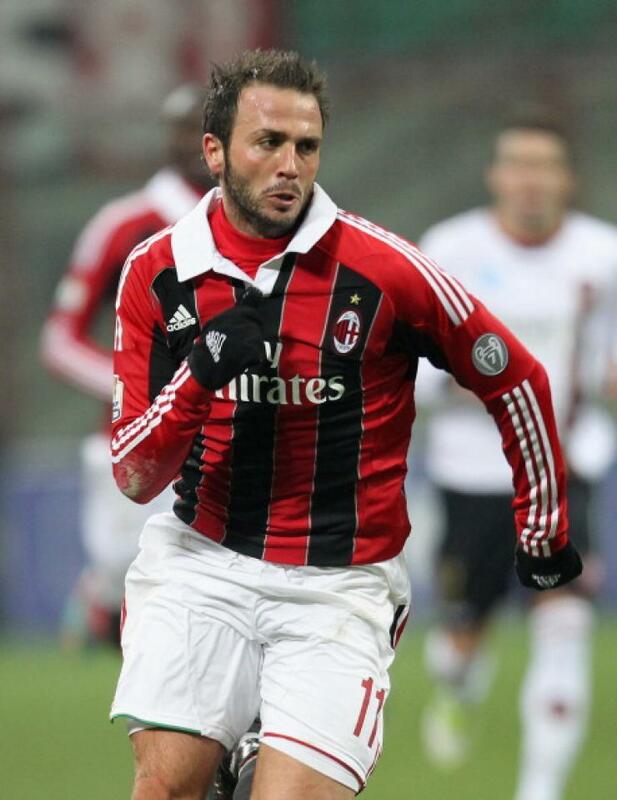 He put in several beautiful crosses to Pazzini, whose shots were blocked each time. In the 47th, there was an epic moment where he was being held by 2-3 Bologna players, and still powered through with the shot, testing Agliardi. Niang was everywhere, he ran nonstop, played seemingly every position, and was breathtaking while doing so. I’ll have what he’s having. The Milan goals came from an obvious and yet not so obvious place: the much maligned Giampaolo Pazzini. Not sure why he’s not more beloved, with 11 goals now in all competitions, 5 in the last 5 games, it’s hard for me to understand. Sure, there are the “how did he miss that” moments. But unlike other players, he gets the goals, too. And he certainly had Bologna’s number this season with 5 goals in the 2 fixtures. He’s a poacher, not a ball handler, he scores, he doesn’t necessarily defend (although he does draw defenders and use his size to help others score.) He was fantastic today, he created a lot of chances and tested Agliardi again and again. And the score shows his effort. With only 4 shots credited, he scored 2 goals, atoning for the one miss that had everyone facepalming. Taking a very unusually good cross from Abate in the 65th, he found the back of the net. And in a moment of exquisite beauty in the 82nd, he grabbed a cross from another unlikely source, Boateng, and made beautiful music with a fantastic goal. I’ll have what he’s having. Also relentless and so very tasty to watch was Kevin Constant. People who hadn’t been paying attention to his amazing runs & crosses were forced to watch the discovery Allegri haphazardly made now in this amazing left back. He was unstoppable. Literally. No Bologna player could catch him, and if they could, the flowed off of him like water. He had magical crosses, too, like the one in the 35th that Pazzini got his head on but was saved. He dominated the left side, and took whatever Bologna dished out. Well until the very end, when he wanted a piece of Diamanti. But who could blame him, really? He was beast. Again. Replacing all of our left back nightmares with sweet dreams. I’ll have what he’s having. Agliardi, this is Constant. You'll probably want to keep an eye on him. If you can. Speaking of Diamanti, after an early yellow, he elbowed El Shaarawy in the face not even five minutes later. 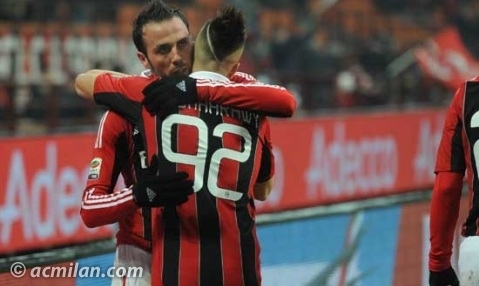 But El Shaarawy didn’t let it stop him. He was all over the place, taking shots like the one in the 60th, from distance, that still had enough power to nearly knock Agliardi over. And his shot just before the whistle was heartbreakingly wide. In all, he took the most shots of any Milan player, with 5 shots today. The kid has so much hustle, and so much game, that in stoppage time, he was found all the way at the back on the opposite side of the pitch, defending. Even when he doesn’t get on the scoreboard, he’s amazing. I’ll have what he’s having. Abate earned a token yellow in the 80th, but he was good defensively tonight, and actually got a couple of crosses connected, too. Mexés’ deflection was a shame, other than that he and Zapata had things covered. Not that they were tested much, Bologna got all of 6 shots off, only 2 on goal. 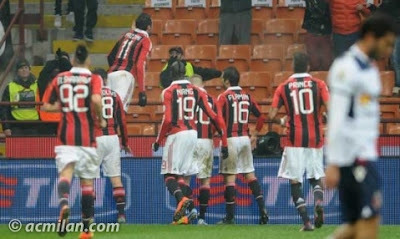 Montolivo was very solid, although he still has some poor tackles sometimes. However, he was credited with having the most successful passes and the most successful tackles for the match. Allegri’s subs were late, Nocerino on for Niang in the 78th and Traoré on for Flamini in the 81st. But there was surprisingly a noticeable difference when Traoré came on the pitch, there may be more than meets the eye there. Milan kept 56% possession, but had a ridiculous 24 shots, with 7 on goal. It truly is only our midfield weaknesses (well, and the own goal) that makes us our own worst enemies. This was a very heartening win. We came out a little sluggish again in the first half, but by the end of the half were building into a rhythm. In the second half, we dashed the hopes of Bologna again and again, and kept them off the board, even if we couldn’t keep our own clean sheet. Sure, they’re in 14th place, but we have struggled against lesser teams. And while there are still unanswered questions, we still struggle to defend set pieces and also to score on them, I’ll take this three points with a smile. Which is more than I can say for the current crazy mercato rumors. Kakà and Balotelli? Really Galliani? I’ll have what he’s smoking. 3 points ac milan bologna budget milan™ constant el shaarawy hungry lunchmeat mexes niang pazzini remember when I had a co-blogger?